LCD televisions are popular for many reasons. LCD stands for Liquid Crystal Display. When buying an LCD wide screen television, you can expect for it to be a great deal lighter than the old box television sets. A better quality image and a variety of different sized screens also make these a popular television choice. In South Africa, and across the globe for that matter. The Television set, more commonly called "TV", has become the most powerful visual & audio medium in the world. The capability of a single TV set can educate, intrigue, entertain and inform the masses of our global communities in an instant. The average South African will spend roughly two to five hours in front of a TV a day! The Television has become the most important telecommunication device for the better part of 80 years. The first television was commercially sold in the 1920s and soon became the norm in suburban homes or business of all professions. We call upon our televison sets as a source of information regarding world affairs via daily news casts, entertainment, commercials and advertising. From black & white corner box TVs to the CRT televisions that allow bigger screens to show more images at the same time. The evolution from analogue to digital TVs has rapidly changed the way we see the world as well as how much we can learn though the magic of a personal home television set. Apart from older CRT TV and analogue broadcasting, the 20th century together with manufacturers like Samsung ,Sony and host of others have introduced us to the birth of Digital Television. Digital TV broadcasting supports a wide range of higher quality picture formats and larger size television sets.DTV is basically an advanced way of displaying digital signals over standard NTSC and PAL analogue video signals. SDTV -displays higher quality images and resolutions over analog TV. The digital signal coming from a standard definition TV is smoother more vivid with a standard resolution of 640 x 480 depending on the countries digital format. HDTV - is a digital signal that uses the highest resolutions over both SDTV and analogue TV. The resolutions of a high definition TV, ranges between 1280 x 720 pixels (or 720p) and 1920 × 1080pixels (or 1080p), usually being referred to as full HD televisions. Digital televisions may look different regarding shapes and sizes but use similar technologies. There are three main stream technologies that modern TVs of today have adopted. LCD TV - These television sets uses Liquid Crystal Display Technology to produce stunning images, the same result can be seen on LCD monitors as well. LCD TVs are lighter and thinner than CRTs and consumer less power over time. LED LCD TV - A type of LCD television that uses LED back-lit technology instead of normal cathode lighting. Adopting the name "LED TV" by most manufacturers, LEDs have brighter displays, better contrast quality and gives off less heat than other displays. Plasma TV - Mostly used as flat panel displays, Plasma TVs use xenon and neon gasses to create colour and is wedged between two glass plates. 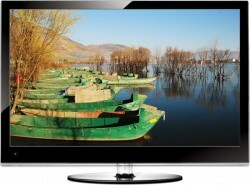 By using gasses, Plasma TV displays sharper images, gives off 16 million colours at once and is much lighter than CRTs. Out with the old (Big fat CRT TV's) and in with the new. The world has turned to LCD televisions for their entertainment and information needs. Digital advancement in science and technology allows us to watch sports, movies and or play video games on TVs much better than the previous decade. So don't touch that dial and stay tuned to see where television technology will go next. OneShop brings you the very latest LCD, LED or plasma televisions from the most reliable manufactures in the world. 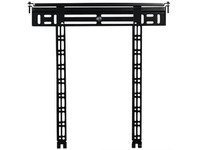 Choose your preferred screen size or technology at the best price available or choose from many TV accessories like mounts and brackets to give your TV a since of style. So sit back and relax to watch your favourite program in stunning visual resolutions.